Up to half of Canada's GHG emissions are under the direct or indirect control or influence of local governments. The RDN and its municipal partners recognize climate change can be addressed locally if municipal governments work together to reduce their emissions through responsible energy management. 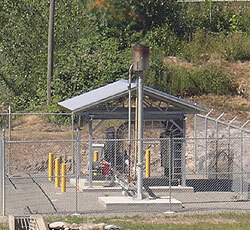 The landfill gas collection system at the RDN Cedar Road Landfill significantly reduces methane emissions, a major source of GHGs. Methane is currently flared and burned but eventually will be used to generate electricity. 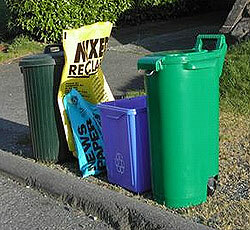 The RDN's Solid Waste Management Plan targets diverting 75 per cent of the region's garbage from the landfill by 2010. Curbside recycling and commercial and residential organics diversion programs conserve energy and prevent GHG emitting materials from entering the landfill. Water conservation helps reduce energy consumption and GHGs by decreasing demand on water supply and wastewater treatment infrastructure.